Hello again! Welcome to another Stamp-of-the-Month blog hop. If you came from LeAnne’s lovely blog, you’re on the right track. And a nice close up so you can see the sparkle! I used pigment inks for the image, inking up the different parts with the little ink pads. If you look closely you can see where the green got on the gifts, but I’m okay with that. I used Ruby and New England Ivy. They dried very quickly while I stamped the sentiment in Black dye ink. Then I just added tiny bits of Red Glitz Gel and I was done. Very simple, but striking and easy to mail. I just might make more of these and maybe use sponge daubers to ink next time. Maybe this will even make it into our Team Christmas Card Workshop next month. It’s now time to hop on over to Jen’s blog and check out her fabulous work. Thanks for visiting! Very cute! 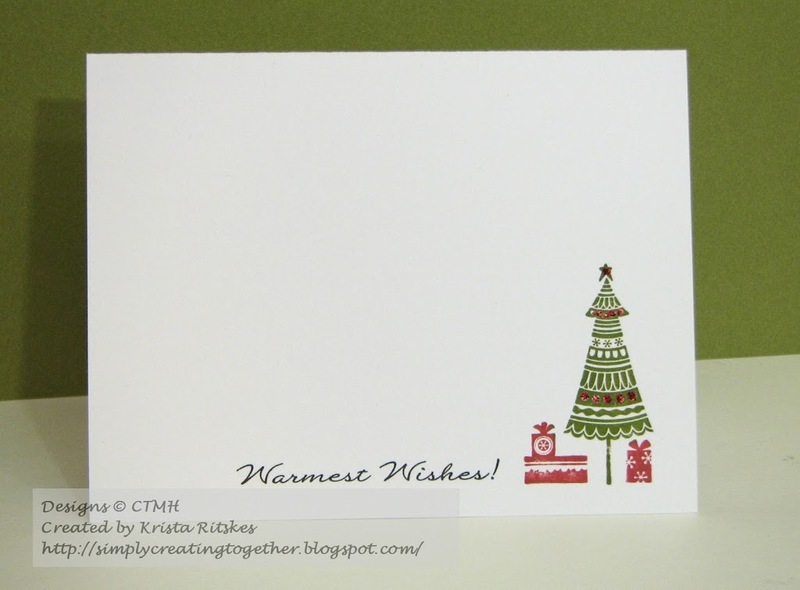 I hadn’t thought about using the pigment inks for this – it looks awesome! Thanks for the inspiration! 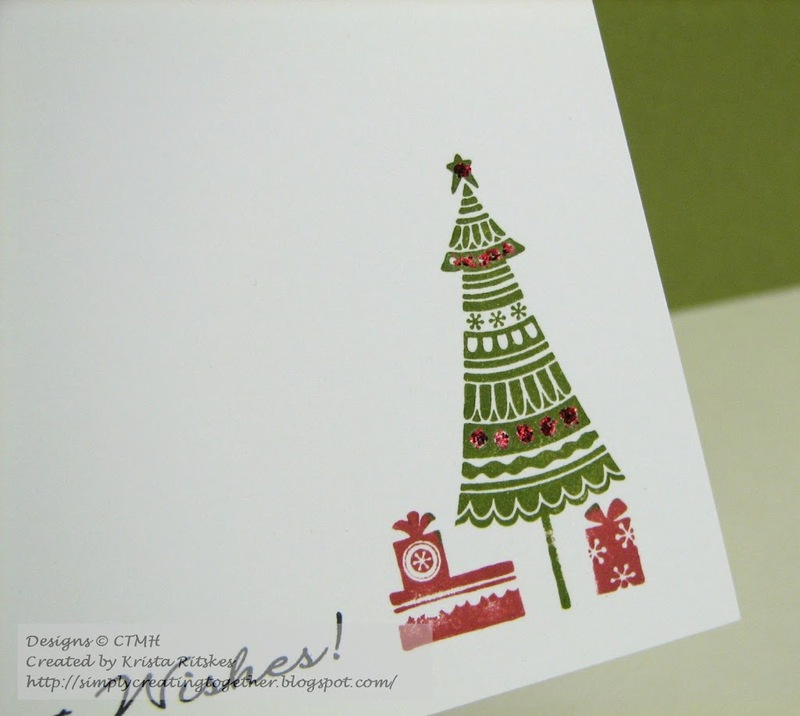 Love the Clean and Simple look of your card! Very CAS – Thanks for sharing! This is so pretty! I love how clean and simple it is, very elegant! simple and clean – love it! 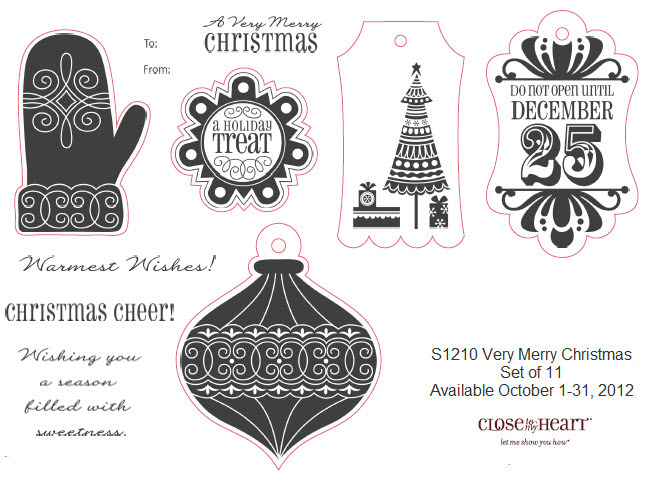 Very pretty CAS Christmas card!